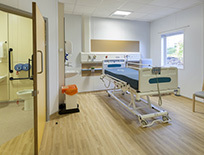 Polyflor is a major manufacturer of commercial floorcoverings, and the pioneer of homogenous sheet vinyl. We have been exporting innovative flooring solutions to Canada for over four decades. We previously relied solely on distributors to share our flooring products with the Canadian market, but in January of 2013 that all changed. On January 7 2013, Polyflor opened its latest wholly owned subsidiary business in Toronto to act as both a local distributor within Southern Ontario, and as additional support for our Canadian distribution partners located in other provinces. Committed to providing better flooring solutions through design, innovation, and understanding the needs of commercial spaces. The foundation of Polyflor’s success is our customer focus, and we work closely with contractors, specifiers, and end users to understand their requirements and provide the ideal flooring solution for any installation. Our floorcoverings offer solutions that are both appealing to your design and functional with options for safety, acoustics, sport, and more. Industries that benefit from the features of our flooring include healthcare, education, commercial kitchens, retail stores, hospitality and leisure, industry, and corporate offices. We also offer wall cladding for a variety of applications. Get ideas for your space in our Design Inspiration features. From our sales force to our design team, Polyflor has dedicated personnel that provide comprehensive customer support. We have developed an extensive network of agents, distributors, and wholly owned subsidiaries throughout all markets globally, to ensure excellent product and sample availability. Learn more about our global network through Polyflor International, and discover our commitment to quality, customer support, and sustainability.